40-45 Gallon Regular Duty Black Trash Bags 40" x 46" are a good economical choice, while being stretchable and offers additional puncture and tear resistance to collect and dispose of trash or other refuse. 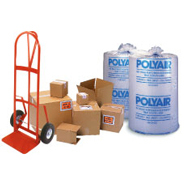 Each 40-45 Gallon garbage bag has a performance bottom seal that resists leakage. Made from linear low-density polyethylene, these regular duty 0.55 mil 40-45 Gallon garbage bags are durable and recyclable. 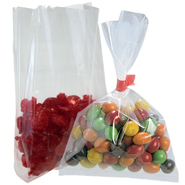 Regular Duty Garbage Bags are made from linear low density polyethylene LLDPE and have a durable reinforced gusseted bottom seal.